Unlike traditional time management, productivity and business is much more about energy management. I call it time management 2.0, which helps you work with your natural cycles, add appropriate stress (often physical, which is usually under- stressed in our society) and establish appropriate boundaries with the people in your life, especially learning how to say â€œno.â€ The idea is that you can get twice as much done if you are focused, rested, clear and energized. Here are a few productivity and business tips to get you started. Time management tip: Manage your energy. When you learn how to manage your physical, emotional, mental and spiritual energy, many of your so-called time management problems will resolve themselves naturally. Energy management requires us to honor the Law of Oscillation. We are all familiar with this law, in that everything in our world oscillates, or fluctuates back and forth: day and night, waves moving in and out, hearts beating & resting, even our brain waves. What happens when you have a flat line on the EEG machine?? When you work all the time, without breaks, you are violating this law. The result can be as serious as karoshi â€“ death by overwork (very common), or not fatal but still destruction of the quality of your life. Bottom line: you must take 5-10 minute breaks every 90 to 120 minutes (2 hours). You will see amazing gains in our productivity and happiness when you do. Time management tip: Seek stress. We need positive stress to grow. For example, when we do strength exercises, we must push our muscles a little past fatigue in order to get them to develop. The time management skill here is that we must seek stress in those areas where we are not stressed enough â€“ typically physically and spiritually, and reduce stress where we are indeed overstressed, typically in the emotional and mental arenas. Most of us run businesses or have careers that are highly demanding emotionally and mentally, but not physically or spiritually. We need adequate, but not excessive, stress in all four areas to be the most productive, fulfilled and happy that we can be. You can add physical â€œstressâ€ by moving your body every day. The key is to find an activity that you enjoy. The natural endorphins created by physical activity will keep you coming back for more! You can add spiritual â€œstressâ€ in any number of ways such as reading spiritual or inspirational books, listening to music, hearing great speakers, engaging in prayer, devotionals, and meditation, doing yoga, journaling, spending time in nature, even if itâ€™s sitting outside in a park during your lunch. Seeking positive stress is a time management skill that will serve you well for the rest of your life. Time management tip: Just say no. Learning to say â€œnoâ€ appropriately is probably the number one time management skill there is. Remember the saying, â€œIf you want something done, ask someone whoâ€™s busyâ€? The idea is that busy people are productive. And indeed the more we take on, the more we DO get asked to do more things. But if you feel like thereâ€™s not any room in your calendar now, what happens when you say yes to another commitment? Something has to give and we feel overwhelmed, and guilty because we canâ€™t do justice to all our commitments. So remember, you can only say yes to something new, if at the same time you let go of something you are currently doing. The key is to learn how to say â€œnoâ€ in a neutral tone of voice. You donâ€™t need to be meek and apologetic, nor angry and defensive. Just a simple no, preferably along with a reason thatâ€™s connected to a personal value you hold, rather than a lame excuse. 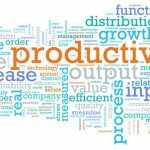 Obviously, productivity and business is a big topic, one that I focus on quite a bit with my clients who are all small business owners and entrepreneurs. Entrepreneurs have a lot of ideas and projects and itâ€™s easy for them to spin out of control. How do you keep 9 plates spinning in the air all at one time? Thatâ€™s what I help my clients with! Struggling with some things in your business? I provide down to earth, no b.s., business help for small business owners. Please contact me to see if I can help.